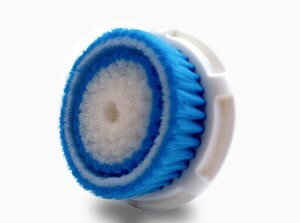 Are you looking out for brush heads that will clean your face completely and softly too? The brush heads by Procizion are here to give you an amazing face cleaning experience. Though these Clarisonic brush heads are designed for big pores and oily skin, these are suitable for delicate skin, acne and sensitive skin too, meaning these are perfect for every skin tone. These can be used for face as well as for body and are compatible with Mia, Mia 2, Aria, PLUS and PRO Cleansing Systems. Try these brush heads and experience radiant, purified, soft and smooth skin. If you are tired of big pores then this brushes are here for your rescue as they reduce the appearance of the pores and of fine lines, wrinkles too through their extra-plush bristles. You will not only experience clean skin but you will also find improvement in the absorption of creams and serums. These are perfect and safe for daily use and for great results replace these brush heads every three months. These brush heads will help in enhancing your skin tone by exfoliating dead skin cells. So if you want to minimize the appearance of the pores and wrinkles, then what are you waiting for? Try these incredible brush heads which will massage your skin and increase circulation thereby diminishing wrinkles and pores. The size of these brush-heads is 2.2 into 2.5 into 2.2 inches. You can remove the brush head by gripping its head and pushing and twisting it counter-clockwise. Then you need to pull the brush away from handle and it can be attached by simply twisting the head (clockwise) by pushing it down till it fits into place. So you can go for a pack of two or simply get the value pack of five. Besides you can choose your colour as these come in green, blue and black. Why not try this attractive replacement brush heads and get glowing skin! « Has the dip-dye had its day?